Baba Amar Singh Nibber was an important figure in 18th century Bandai Sikhism. Baba Amar Singh Nibber was born into a Nibber family of Khemkaran. In Sikh history, he is also known as Mahant Singh. 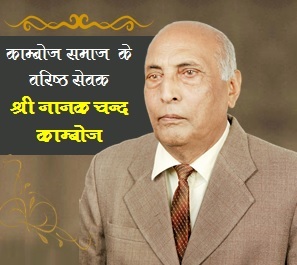 His childhood name was Amar Chand but after taking Amrit, he became known as Bhai Amar Singh. 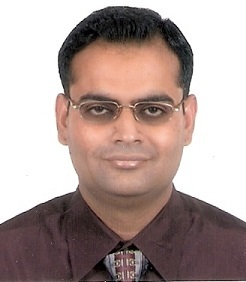 His father Raghupat Rai Nibber was a big land lord of Khemkaran and came from a family whose ancestors held royal positions in the Moghul courts.. According to Gyani Gyan Singh’s Panth Parkash also, Baba Amar Singh was of Kamboj lineage. Baba Amar Singh had an elder brother named Mool Chand. Bhai Mool Chand was an excellent soldier and had fought valiantly for Guru Gobind Singh in several battles prior to his martyrdom in the Battle of Nadaun on March 20, 1691. Baba Amar Singh had a very powerful and athletic physique and measured well over six feet and half in height. He was a very fierce and formidable warrior in the battle-field and could continuously wield a double-edged sword (Kharasang or Khanda) weighing over fifty Ser (about twenty kilograms) He was nicknamed as Bir (Knight). During siege of the Lohgarh fort of Banda Bahadur by Mughal forces in 1716, the Sikhs got bifurcated into two divisions: the Bandai Khalsa and the Tat Khalsa whereby the Tat Khalsa parted ways leaving Lohgarh to be defended by the Bandai Khalsa alone. After a long siege, Banda was arrested by Abdus Samad Khan along with his many followers and escorted to Delhi, chained in a cage. On June 9, 1716 he was barbarously executed along with hundreds of Sikhs and became a hallowed martyr in Sikh history. 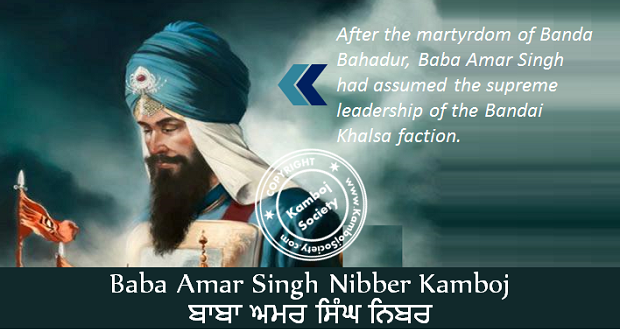 After the martyrdom of Banda Bahadur, Baba Amar Singh had assumed the supreme leadership of the Bandai Khalsa faction. After the Lohgarh incidence, the friction between the two Panthic factions continued unabated and at times, there had also occurred minor scuffles between the two. In 1721, Baba Binod Singh Trehan of the Tat Khalsa sent an invitation to the entire Sikh community all over the Punjab to gather at Amritsar on Diwali day. The two factions met at Amritsar and each asserted its claim as being the true heir to Guru Gobind Singh and the Harimandir Sahib. Things looked gloomy for the Sikhs, since both military factions readied themselves for a showdown to assert their individual claims. The dangerous situation was averted at the Diwali occasion by the timely intervention of the Sikh Sangats (Congregations) but both factions continued to entertain anger and ill-will against each other. Mata Sundari, the widow of Guru Gobind, came to learn of the trouble brewing between the two military factions at Amritsar. She appointed Bhai Mani Singh as the Granthi of the Harimandir and sent him to Amritsar with Kirpal Singh (Chand), the maternal uncle of Guru Gobind Singh to resolve the feud. The choice on Bhai Mani Singh seems to have fallen for intrinsic reasons also since Bhai Mani Singh, like Baba Baba Amar Singh was of Kamboj lineage and it was therefore hoped that he could better convince Baba Amar Singh and bring him to concilliation in the broader interests of the Khalsa Panth. After assuming office of the Head-Granthi in 1721, Bhai Mani Singh sent invitations to both parties to assemble on the Vaisakhi occasion. Both factions again met at Amritsar in compliance of the invitation from Bhai Mani Singh but with all the malice in their minds set against each other. At Amritsar, the Tat Khalsa took unilateral control of the Akal Bunga while the Jhanda Bunga was taken over by the Bandai Khalsa led by Baba Amar Singh. Using a simplistic but well-intentioned procedure, Bhai Mani Singh was finally able to resolve the feud and restore peace among the warring factions and put the affairs of the Darbar Sahib in order in 1722. The final decision was that the Tat Khalsa was declared the genuine successor to Guru Gobind Singh and the Harimandir Sahib. Baba Amar Singh was not the first Sikh who died at the hands of fellow Sikhs due to intra-Panthic differences. The phenomenon had been in existence since the time of the Gurus. 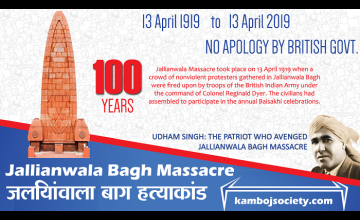 However, the gory clash which occurred at the Harimandir's Parikrama between the Bandai and the Tat Khalsa would be replicated in the future as schisms would arise in the community and sometimes lead to deadly showdowns as the one involving Baba Amar Singh.